Ioannis Brachos was born in 1962, in Athens. He studied Economics at the Economics Department of the University of Athens and at the University of London (Queen Mary College). He holds a PhD in Eeconomics and has worked as an academic in the Economics Department of the University of Athens and in the private sector. He is a Ministry of Foreign Affairs Expert Minister Counsellor on Economic and European affairs. During his career he has handled, among other things, issues related to the formulation of the European Union's Cooperation Agreements with third countries and the economic dimension of climate change. 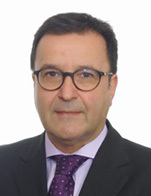 As head of the economic unit of the Permanent Representation of Greece to the EU (starting in 2015), he dealt with financial, taxation and customs matters, as well as state aid, EU budget and Brexit financial issues. He is married and has two children.